What Are Remote Access Services? Originally the term “remote access service” was a term Microsoft used to describe a feature built into its Windows NT operating system that allowed users to log onto a proprietary local area network. Like “scotch tape” and “Kleenex” before it, the proprietary term quickly took on a generic meaning. Today remote access services refers to any combination of hardware and software that gives users access to a computer or a network from a distance. To use the remote access services features built into the Windows NT operating system, you needed a modem, X.25 connection or WAN link operating over one of several network protocols including TCP/IP, IPX, and NBF. The challenge was the prospective cost of the long distance connection. As the technology caught on, companies sought to circumvent that cost by using a local telephone number to connect to the Internet and using the Internet as a cost-free conduit for the remote access software. Remote access services didn’t really come into their own, however, until access to broadband Internet became widespread. This enabled servers to handle higher data requirements with minimal downtime. 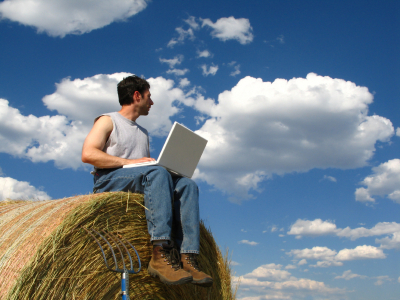 Programs taking advantage of remote access technology began to proliferate. pcAnywhere from Symantec was a remote control software with cross-platform capabilities, allowing Windows, Mac and Linux systems to access one another’s servers and thereby “talk” to one another. VNC (Virtual Network Computing) was a desktop sharing system that transmitted keyboard and mouse events from one computer to another, using a simple, remote framebuffer (RFB) protocol. The problem with these programs was that they were easily hacked since in the early days of broadband, security consisted of little more than basic user authentication and the weakest of passwords. Then came VPNs (Virtual Private Networks.) VPNs couple the use of the Internet infrastructure with security devices such as host firewalls to provide a secure “tunnel” for remote communications. VPNs incorporate protocols that prevented message alteration, and blocked intercepts, packet sniffing and identity spoofing. Data is encrypted as it leaves a user’s computer and decrypted when it arrives at the VPN server. This security comes with a price: setting up a site-to-site VPN can be an expensive proposition, with a higher level of inconvenience to users who are required to go through extensive security checks. Today there are a large number of programs that allow users to access and backup their personal or work computers from anywhere using an Internet connection. Some of them even allow users access from their smart phones. These programs range from simple freeware and shareware applications to more sophisticated product suites. Host computers establish secure connections with trusted service providers; remote users log on to their accounts at the providers’ websites to gain access to previously registered computers. The connection only takes a minute or two to set-up, and users can access their accounts from any computer no matter where it is. These programs are that they allow users to work from anywhere and to share access to their machines with other users, regardless of platform. 3. Software must be installed on both the host and accessible computers. Timbuktu® Pro/ Timbuktu® ToGo (Netopia, $54.99 – but the purchase of a $159.95 “Twin-pack” is necessary for functionality for first-time buyers): Originally designed for Mac operating systems, Timbuktu® Pro now provides remote control for both Mac and Windows machines, supporting AppleTalk, TCP/IP, IPX, Skype software and Apple Remote Access protocols as well as direct dial up. There is no intermediary host or proxy server with this connection; administrators must connect directly with the computers they hope to access, and access can be tough when those computers are protected by firewalls. Differences in screen resolutions between Macs and PCs are handled well, but the lag time accessing software commands between platforms is noticeable. One license of Timbuktu Pro is required per computer. Timbuktu® ToGo is a turnkey, Web-based PC remote access and control service. 1.Mac “favoritism”, evidenced in a variety of ways. For example: Mac controllers can make QuickTime movies of remote sessions; PC users cannot. 2. After initial installation, the software’s default setting prevents remote access. If you don’t read the manual carefully, you may think the application is malfunctioning. GoToMyPC (Expertcity, $180/year) In a relatively short period of time, GoToMyPC has become the gold standard of remote access services, allowing users both to view and control home and office PCs remotely using any Internet browser on any Windows, Mac, Linux, Unix or Solaris machine without having to install anything on the client computer. The program protects its data stream using AES 128-bit encryption: one password is required to log on to the service, while a second (residing on the target machine) is necessary to access the host computer. Installation is quick, and the software itself requires very little in the way of setup and configuration. GoToMyPC operates independently of network protocols and settings, dynamic IP addresses or name servers, and has no trouble penetrating most corporate firewalls. One GoToMyPC license is required per computer, and the company offers a free 30-day trial with remote access to a single computer. 3. GoToMyPC only connects when both host and client machines have web connectivity. LogMeIn Pro: (LogMeIn, $69.95 per year for one computer license): The service provider maintains the IP addresses of host computers, making this a good solution for users with dynamic IP addresses. Features include remote printing, file transfer and the ability to map network drives to local computers. 1. Like GoToMyPC, the speed of the service is limited by the speed of the Internet connection, and both host and client machines need to be connected to the web. Remote access services are the ones which helps in remote access of computers and other mobile devices. Various tools like logmein, R-HUB remote support servers, gosupportnow, teamviewer etc. are used for remotely accessing computers.